Twenty-five years ago Tuesday, WYMT-TV went on the air for the first time and has spent the last quarter century bringing Eastern Kentucky news coverage to the region. The station is based in Hazard, population 5,000 and the seat of Perry County, pop. 30,000. It is small, but a regional center in southeastern Kentucky, and the station has created a greater sense of common ground in a region that is broken up by lots of hills, mountains and county lines. The station was founded by Ralph Gabbard of WKYT-27 in Lexington, who purchased the old channel 57 from Hazard Mayor Bill Gorman, who died recently. "Mayor Gorman knew that if he sold the station to 27 which had a Frankfort bureau that we'd be covering Kentucky news and the Kentucky governor and Kentucky state government and Kentucky issues," former WKYT news director Ken Kurtz, who helped establish WYMT, told Steve Hensley of WYMT. To celebrate the anniversary, current WYMT news director Neil Middleton has been bringing back former anchors for guest spots this year, Ivy Brashear of the Hazard Herald reports. This week former WYMT sports anchor Jay Crawford, now host of ESPN's "First Take," returned to Hazard to do one more sports broadcast. "We feel like these people are our friends, for us and for our viewers," Middleton said. Tuesday's episode on the 25th anniversary featured two of the three original anchors. Half of the 24 earthen dams at Tennessee's coal ash and gypsum ponds meet the top safety standard for stability, says a consultant hired by the Tennessee Valley Authority. Still, "Stantec Consulting Services reported that none of the ash ponds present an immediate danger of failure like the 2008 Kingston ash spill that poured 5.4 million cubic yards of coal ash into the Emory River from a dam breach at the Kingston Fossil Plant," Dave Flesser of the Chattanooga Times Free Press reports. Just one pond was rated as "highly hazardous." "We've not seen any conditions in the field that suggest to us that we have any imminent failure in front of us, and we're making improvements," John Montgomery, Stantec's senior principal engineer, told Flesser. "Every recommendation that we have made to TVA is being picked up and acted upon." Three other ponds were initially labeled as "highly hazardous," but TVA made changes, including lowering pond levels, buying up adjacent property and improving drainage, to have those ratings lowered. "We never want another Kingston to happen again," TVA Senior Vice President Bob Deacy said. Supermarket chicken comes in a variety of "healthier" forms today and soon consumers may be able to purchase "stress-free" chicken, which was killed in what some view to be a more humane way. "The new system uses carbon dioxide gas to gently render the birds unconscious before they are hung by their feet to have their throats slit, sparing them the potential suffering associated with conventional slaughter methods," William Neuman of The New York Times reports. "When you grab a chicken, turn it upside down and put it on the line, it’s stress, stress, stress," said Scott Sechler the owner of Bell & Evans. "Our system is designed so that we put them to sleep without stress and we kill them without stress." Marketing of stress-free chicken has its limitations. "Most of the time, people don’t want to think about how the animal was killed," David Pitman, whose family owns Mary’s Chickens, told Neuman. Anglia Autoflow, which built the news system for Mary's Chickens and Bell & Evans, calls the process "controlled atmosphere stunning." Pitman said his company is considering using "sedation stunning" on its packages and "humanely slaughtered," "humanely processed" or "humanely handled." Sechler wants to call the process "slow induction anesthesia" on his company's packaging. U.S. Secretary of Agriculture Tom Vilsack announced new financial incentives for the biofuel industry Thursday while advocating for Congress to pass a short-term extension of the subsidy for corn ethanol. "Vilsack used a National Press Club speech Thursday to call for accelerating development of next-generation biofuels that would be made from crop residue, switchgrass and other feedstocks besides corn," Philip Brasher of the Des Moines Register reports. Among the incentives Vilsack announced were grants for new E15 gas-station pumps. "Vilsack set a target of installing at least 10,000 of the pumps over the next five years," Brasher writes. "The Agriculture Department plans to offer matching grants for the pumps starting next year." Vilsack also called for construction on at least one new advanced-biofuel refinery in each region of the U.S. by the end of 2011. "Vilsack offered no help to advanced-biofuel producers on one of their top priorities -- federal loan guarantees," Brasher writes. "The next-generation plants will cost many times as much as corn ethanol distilleries do, and existing rules for the loan guarantees are too strict, deterring investment, industry groups said in a letter to the White House on Thursday." 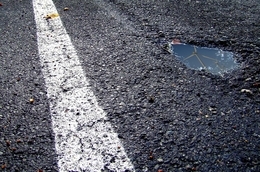 Trucking companies and industries rarely shoulder the cost of fixing the roads, which can "run in the hundreds of thousands of dollars for a single state road," Galbraith writes. Jodi Hodges, a public information officer in TxDOT's Fort Worth district, explained, "We've seen a lot of our roadways have base [problems], edges drop off, rutting, bridge hits, shoulder damage. Rural roads in Hodges' district have been particularly affected by trucks associated with natural gas drilling in the Barnett Shale. West Texas has seen heavy-load traffic increase as the wind industry flourishes in the region. Less than two weeks before the election, a new report from the U.S. Department of Agriculture estimates millions of rural Americans will benefit and over 300,000 jobs are being created or saved by the stimulus package. "With Rural Development's loans, grants, and loan-grant combination financing for new and existing programs, we have leveraged our Recovery Act funds to ensure the greatest bang for the taxpayer's buck, allowing our agency to make unprecedented and lasting investments in rural America," USDA Under Secretary for Rural Development Dallas Tonsager said in a news release. "I am proud of what we have accomplished over the last two years towards building livable, innovative, and sustainable rural communities." An extreme drought across nine states in the Southeast and Midwest is having demonstrative impact on the agriculture industry. The drought is "damaging crops, driving up the cost of keeping livestock and putting officials on alert for wildfires," Cameron McWhirter of The Wall Street Journal reports. "Climatologists say the dry weather likely will continue at least until spring, raising the possibility of prolonged drought in some areas next summer." The drought is affecting parts of Alabama, Louisiana, Arkansas, Mississippi, Tennessee, Missouri, Kentucky, Florida and southern Indiana. A rural Tennessee county has tentatively decided to expand its subscription firefighting system, which "ignited debate across the country" recently after one fire department let a house burn because the owners hadn't paid their annual $75 fee, Time magazine reports. "The agreement has been in the works for about two years, but the issue of county-wide fire protection has received significant attention in recent days in the aftermath of a rural South Fulton fire where firefighters from a municipal fire department could not respond because the property owner had not paid an annual rural fire subscription fee," Menees writes. That department won't be part of the agreement, which says "South Fulton intends to provide rural fire service outside its city limits as directed by its city commission in a designated fire service area." Menees continues, "Ironically, the issue of county-wide fire protection resurfaced and discussion of an agreement began a little over two years ago following a similar rural fire situation near South Fulton." The Obama administration announced Tuesday it had reached a $760 million settlement with Native American farmers who had alleged years of discrimination in loan programs by the Department of Agriculture. "The farmers have fought for 11 years and through three administrations to resolve the case," Spencer S. Hsu and Krissah Thompson of The Washington Post report. "The settlement announced today will allow USDA and the Native American farmers involved in the lawsuit to move forward and focus on the future," Attorney General Eric H. Holder Jr. said in a statement. The class-action suit was filed in 1999 by nearly 900 people and covers USDA actions dating back to 1981. "This settlement marks a major turning point in the important relationship between Native Americans, our nation's first farmers, and the USDA," lead plaintiffs' attorney Joseph M. Sellers, a partner at the Cohen Milstein Sellers & Toll law firm in Washington, told the Post. The agreement would pay $680 million in damages and would forgive $80 million of outstanding farm loan debt. Congress has "shamefully shirked" its responsibility for coal mine safety, The New York Times says in an editorial today. "Nine American miners have been killed in eight little-noted accidents since April, when an explosion in rural West Virginia left 29 dead," the newspaper writes. "Lawmakers, claiming to be scandalized by the failures in safety enforcement, vowed sweeping reforms. That’s all they’ve done." The editorial points to the recent Labor Department inspector general's report, which revealed no serial violator had ever faced the maximum penalty allowed under the first federal mine-safety law 40 years ago, as proof of Washington's failure. "Instead, a rope-a-dope regulatory process has let companies game enforcement through years of violation appeals," the Times argues. It says the Obama administration's move to tighten enforcement is a positive step, but "more is needed from Congress if mine safety is to advance convincingly beyond 1969." 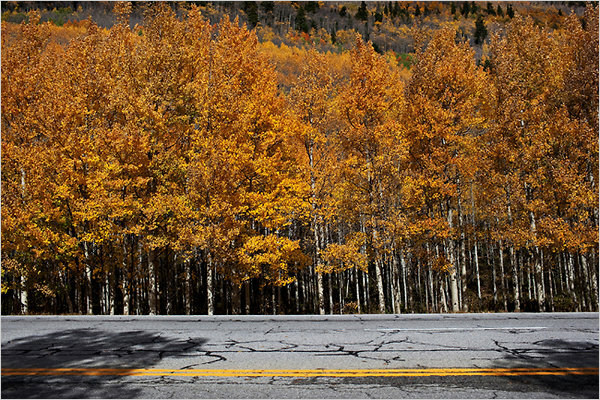 "Wetter, cooler seasons since then — more to the aspen’s liking — have halted SAD’s spread," Johnson writes. "Although the aspen is the most widely distributed tree species in North America, the die-off struck mostly in the Southwest, where the drought beginning in 2002 was most severe. And lower elevations were affected more than upper ones, which tend to be cooler and wetter." Dan Binkley, a professor of forest ecology at Colorado State University, explained, "It [weather] was a really large stressor to the trees, and that made them more susceptible to other things — there’s pretty good comfort among scientists that that was what was going on." 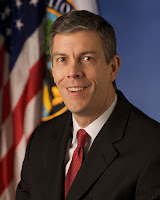 U.S. Secretary of Education Arne Duncan will address the National FFA Organization's annual convention at 2 p.m. Thursday at Conseco Fieldhouse in Indianapolis. Duncan's appearance hasn't been added to the convention schedule on the FFA website but was announced in an e-mail from John White, the Education Department's deputy assistant secretary for rural outreach, to the Institute for Rural Journalism and Community Issues. White says more than 14,000 are expected for the event at Conseco Fieldhouse, and Duncan "will discuss the importance of agricultural education for building 21st century skills, growing the economy and meeting President Obama's national goal to lead the world with the highest proportion of college graduates by 2020." On Friday at 11 a.m., White will host a teacher roundtable with agriculture instructors at the Education Department's booth at the Indiana Convention Center. At 1:30 p.m., he will lead a focus group with teachers at the Hilton Indianapolis Hotel. Here's more on the FFA Convention. Farmers may see cuts in some agriculture programs as Congress looks to trim back federal spending in the 2012 Farm Bill, warns one Iowa legislator. Democratic Rep. Leonard Boswell, left, told the editorial board of The Gazette of Cedar Rapids the next farm bill will have a "safety net," but "programs may have to be capped or 'adjusted,'" James Q. Lynch of The Gazette reports. "There’s going to be a major effort to get our arms around reducing the debt and starting to draw back on it," said Boswell. "We can’t keep accumulating this debt. Everyone has got to share, so how can you share and still do what you do and have a safety net?" The nation's sixth largest coal miner, Massey Energy, is considering strategic alternatives including sale, The Wall Street Journal reports. "Massey's board of directors last week formed a committee to assess the future of the Richmond, Va., company, said one person familiar with the situation," Joann S. Lubin, Kris Maher and Anupreeta Das report for the Journal. "By mid-November, it could 'be in detailed due diligence with one of the multiple options,' that person predicted." Sources told the Journal options could include sale to another coal mining company or private-equity firm. "We're always looking at M&A opportunities, but we never discuss them until they're complete," Shane Harvey, Massey's general counsel, told the reporters. The 98-year-old company has been embroiled in public controversy since the explosion at its Upper Big Branch mine in Montcoal, W. V., killed 29 coal miners in April. "The deaths attracted condemnation from regulators and even President Barack Obama," the reporters write. "Massey's chief executive, Don Blankenship, strongly rebutted the criticism, saying that Massey used the best of safety procedures." Across the country, prices for farmland are on the rise as farmers expand operations and investors look to agriculture. "The frenzied activity, interest from nonfarm buyers and accelerating prices are reminiscent of behavior that contributed to the 1980s farm crisis," Pat Waters of the Omaha World-Herald reports. "But experts say critical differences exist today, most significantly the fact that many buyers pay cash and lenders require more money upfront from buyers." Jason Henderson, an economist and head of the Omaha branch of the Federal Reserve Bank of Kansas City, Mo., told Waters the difference between now and the 1970s is that farmers aren't buying assets with as much debt. At a conference a few years ago, "A lender in the audience raised his hand and said to all the young guys, ‘Remember the lesson of the '80s: Too much debt in the face of falling land values is a recipe for bankruptcy. Manage your debt wisely,'" Henderson told Waters. Troy Louwagie, chairman of the Farmland Value Survey, which is published by the Realtors Land Institute, explained, "Seventy-five percent of Iowa's land has no debt against it. It's in strong hands." Strong grain prices have been the primary driver for farmland sales, Waters writes. The survey reported cropland prices increased an average of 8.5 percent from September 2009 to September 2010. Earlier this month we reported West Virginia had filed suit against the U.S. Environmental Protection Agency to try and stop the agency's crackdown on mountaintop removal coal mining. On Monday, Kentucky Gov. Steve Beshear's administration and Kentucky coal industry representatives filed a similar lawsuit in U.S. District Court in Pikeville, which said "the EPA's blocking of state-issued permits over water pollution standards put forth in an April memo amount to the executive branch taking legislative action and an improper deviation from the Clean Water Act of 1977," Dori Hjalmarson of the Lexington Herald-Leader reports. Blocking state-issued permits is part of an "illegal agenda to end coal mining in Kentucky," Kentucky Coal Association president Bill Bissett said in an e-mail to the state Legislative Research Commission. "This EPA continues to act without any consideration for the law, so it is our hope that the federal court system will find that the EPA's actions are being made based on political ideology alone, with no connection to actually protecting the environment." Beshear directed the Kentucky Energy and Environment Cabinet to join in the lawsuit, Hjalmarson writes. Two Texas state government groups are working together to launch a national online database containing information about chemicals used in hydraulic fracturing operations. The Interstate Oil and Gas Compact Commission and the Ground Water Protection Council say the database, known as the Chemical Registry for Hydraulic Fracturing, will take one year to complete and cost around $3 million, Jack Z. Smith of the Fort Worth Star-Telegram reports. "The process, dubbed 'fracking,' pumps water, sand and chemicals under high pressure to fracture underground rock formations and allow oil and gas to flow," Smith writes. If Central Appalachian coal production continues to decline as forecast, miners who are forced out of work need education and training to develop "new skills in the creative industries," just as the British government did when coal mines close in Wales, a Welsh member of Parliament said at last weekend's "Appalachia and Wales: Coal and after Coal" symposium at Appalachian State University in Boone, N.C.
For a text story by Sylvia Ryerson of WMMT-FM in Whitesburg, Ky., click here. For her audio story, go here. A Western Kentucky deer hunt went off just as planned last month, which is to say no deer were killed. 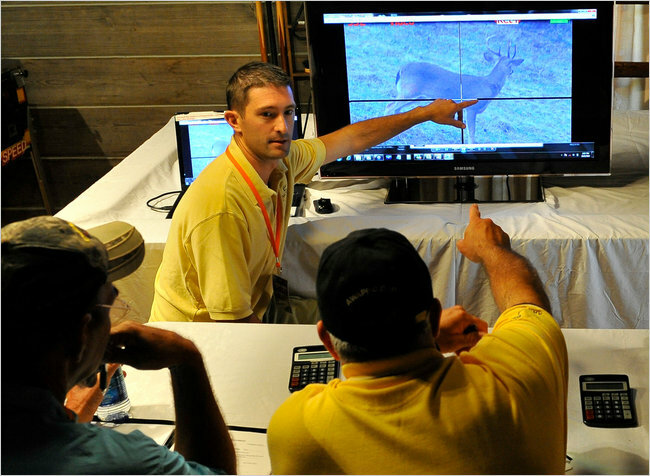 The event, hosted by the American Whitetail Authority, "was the first in the Whitetail Pro Series, the only hunting competition in which deer are stalked but not killed," James Card reports for The New York Times. Each hunter in the event is armed with a 20-gauge shotgun mounted with digital scopes and five blank shells per day. Hunters are graded based on the video from the memory card in the scope. The ethanol industry scored a public-relations boost over the weekend as NASCAR announced it would begin using E15 blend gasoline beginning in 2011. The auto-racing circuit announced "it will utilize a 15 percent ethanol blend fuel provided by Sunoco in its three national series – Sprint Cup, Nationwide and Trucks – beginning next season," Jim Utter of the Charlotte Observer reports. NASCAR said the ethanol it uses will come from U.S. corn farmers. While more Americans than ever have college degrees, the geographic distribution of college graduates remains unequal and leaves rural areas at a disadvantage. "The clustering of people with education is creating greater inequality in regional incomes and unemployment," Roberto Gallardo and Bill Bishop report for the Daily Yonder. "The places with a high percentage of educated adults do better economically than the counties with low proportions of adults with BA degrees. They have higher incomes and lower unemployment." That trend holds true for rural areas where per capita wages increase with education. In rural America, "the top fifth of counties based on college education have an average personal income of $36,135," Gallardo and Bishop write. "The bottom fifth of rural counties, based on college education, have an average income of $26,371." Rural America also remains behind urban areas in terms of college degrees. In 1990, 23 percent of urban adults had a college degree, compared to 12.4 percent of rural adults. 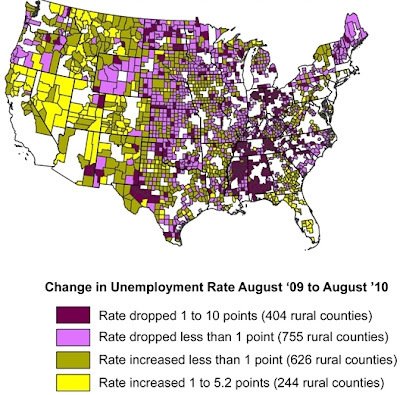 By 2009, the urban percentage was 29.9, and the rural percentage was only 16.8. Four Montana rural electric cooperatives broke ground on a new $125 million natural gas power plant, signaling a move for state co-ops to own their own power instead of purchasing it. "The 120-megawatt Highwood Generating Station, which is being constructed by Billings-based Southern Montana Electric Generation and Transmission Cooperative, is the third major energy project in north-central Montana to get under way this year," but is the first to be owned by rural electric cooperatives, Karl Puckett of the Great Falls Tribune reports. The American chestnut tree, long a staple in eastern U.S. forests before virtually disappearing by 1950 after being affected by a foreign blight, may be poised for a comeback. "By interbreeding the American with its Chinese cousin, tree lovers have created an American chestnut with some resistance to Asian blight and have developed a virus that can be injected into affected trees to combat the fungus," Juliet Eilperin of The Washington Post reports. The project has planted 25,000 new chestnuts so far. "If the hybrid plantings thrive, some envision huge tracts of strip-mined Appalachia one day being restored with lovely chestnut forests," Eilpern writes. Even with early success it may take 75 to 100 years to determine if the tree can be reestablished to its former prominence, Bryan Burhans, president of the American Chestnut Foundation, which has led the revival efforts, told Eilpern. "We know we're interbreeding resistance [to the blight]. Now we have to figure out, does it have enough resistance?" he said.